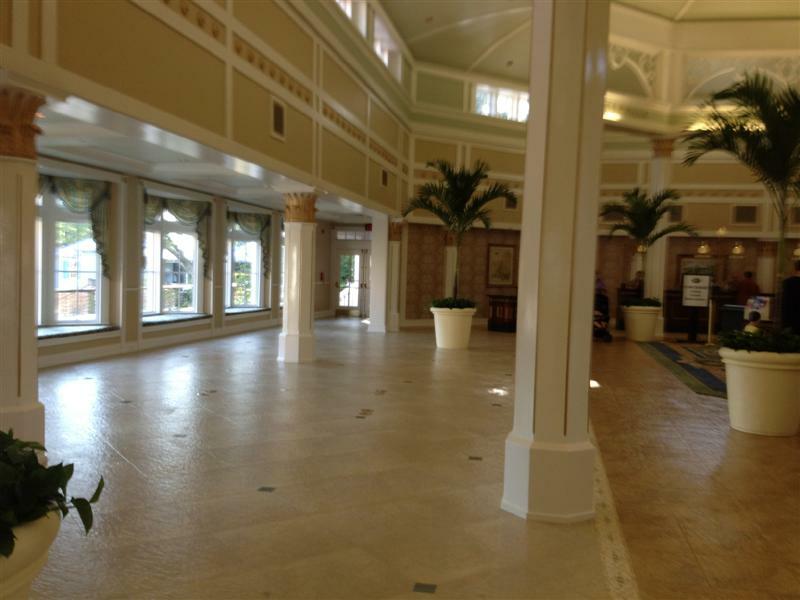 The main lobby at Port Orleans Riverside has re-opened today after its two-month refurbishment... well, almost. At a fairly late stage they decided to add an extra treatment to the floor tiles, which took a few days to apply and harden. This must of course now be done with the previously-completed section of the lobby too, so they will shut that side off again for a few days while the work is completed. Then the furniture will be put back into place. I don’t know what’s happening about the carpet though - I know that originally a new one was planned to be put down, but it looks like the new floor is all tiled to me. 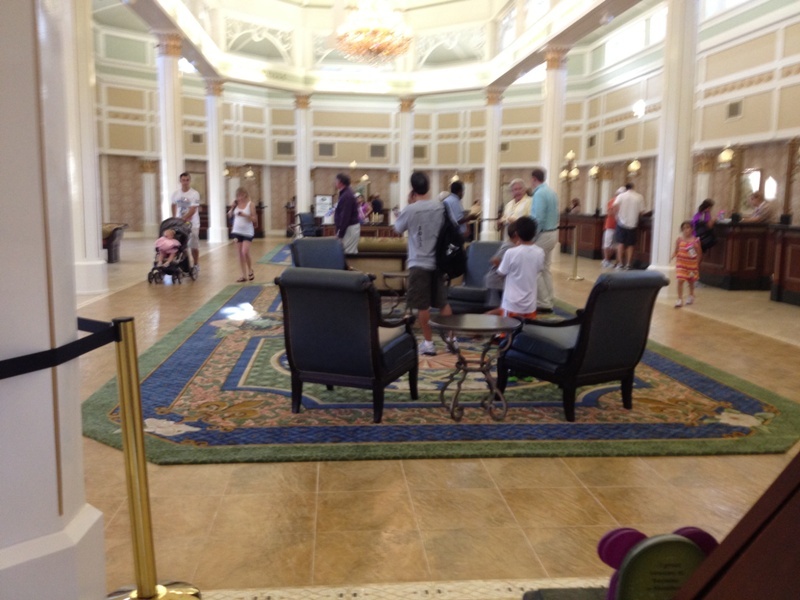 The Lobby Refurbishment work is now pretty much complete, with the carpeting (in the form of two giant rugs) now laid and all of the desks opened for guests. A few items of furniture still need to be added, and the kids' TV needs to be moved and queue lines set up, but otherwise it's basically done. On first view, I'm not completely sure if the darker blue in the carpet might be one colour too many though, but I'm sure it'll grow on me. It's apparently proving very popular with guests. There is now a spaciously open section where the old Online Checkin desks used to be - there will be another large rug going in here, and more furniture, but that won't be for several months as the rug is being hand-made. Otherwise, a few small chairs need to be added in front of the children’s TV and some new stanchions for the queue areas which should be installed over the next couple of days. If anyone was sleeping in an old Alligator Bayou double-bedded room last night, you would have been among the very last few. The final two Alligator Bayou buildings (26 and 35) today go down for refurbishment, so the last of the old rooms (and those old double beds & trundles) will have gone away forever. Currently, buildings 25, 26, 34 and 35 are down for refurbishment. Two of them (25 and 34) are due back within a week, and the final one (26) should be completed in about four weeks. It really doesn't seem like nearly two years since this all started over at French Quarter does it? 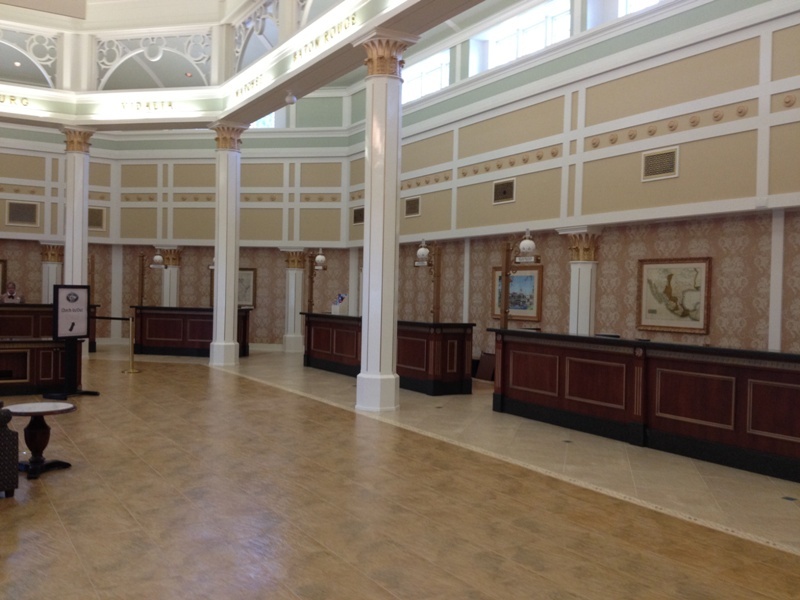 Meanwhile, over in the Riverside lobby, work is drawing to a close on the refit there too. 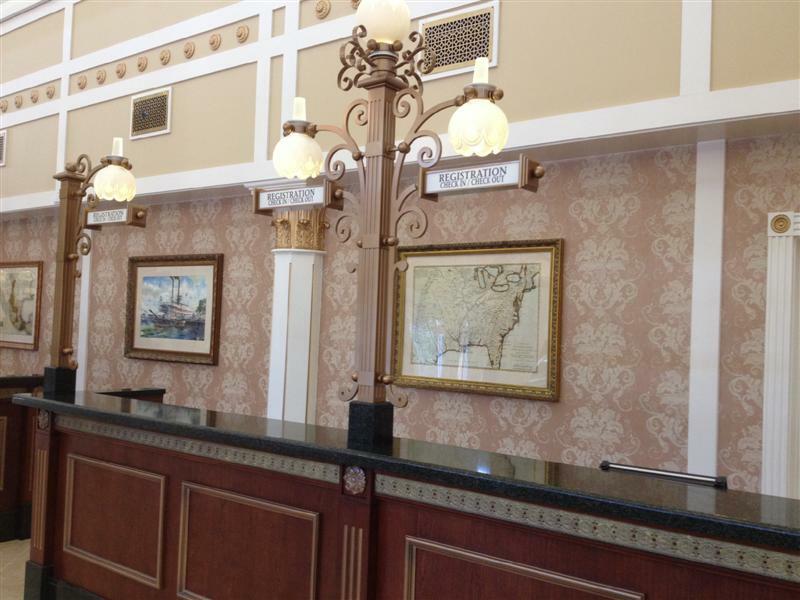 The construction walls are due to come down tonight, and front desk/check-in services should be operating from their new stations on Monday morning. 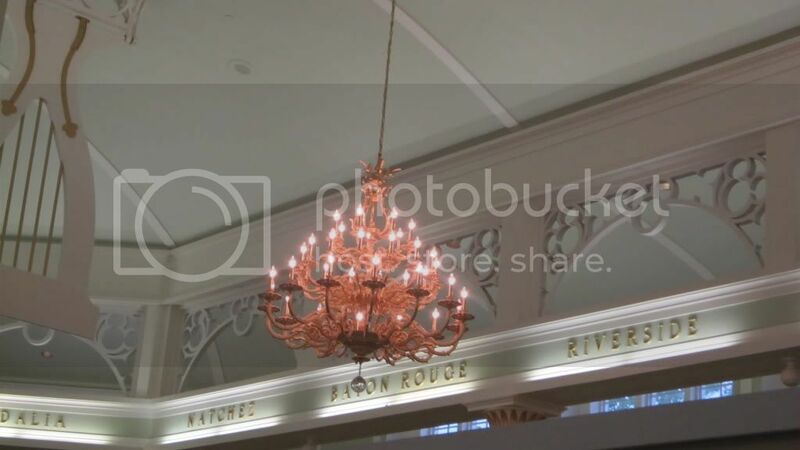 For tomorrow only, concierge services will remain in their temporary River Roost location, and they will be moved over during Monday night so on Tuesday morning everything should be complete (barring a few very minor finishing touches apparently). Can't wait to see what it looks like!